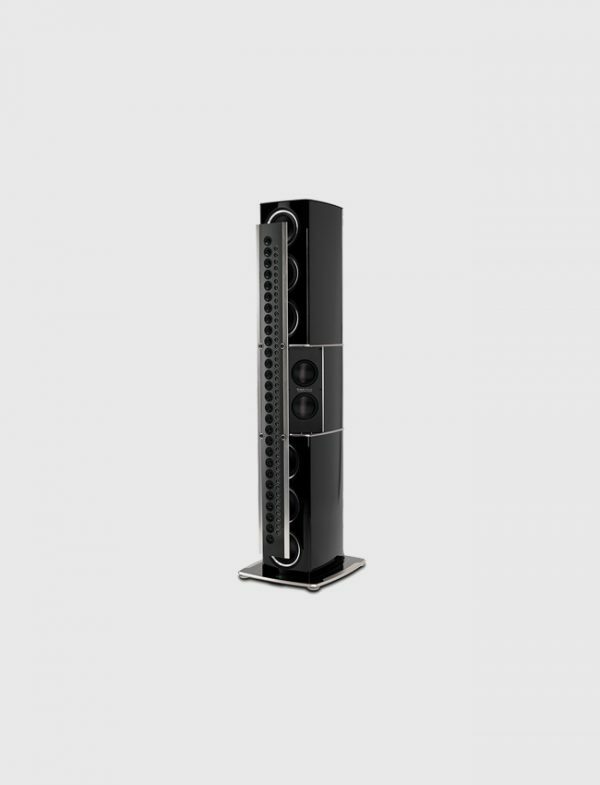 ■ A 4-way speaker, the XRT2.1K produces excellent sound quality at all levels of the human audio spectrum. 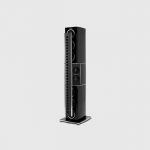 It features 81 drivers to deliver a nearly unparalleled sound reproduction. ■ The crossover network is engineered to ensure an even frequency response over the entire audible range. The type of inductor used in each section of the crossover network has been specially chosen for high linearity, even at high power levels. ■ The bass cabinet is a combination of brushed and black aluminum and is nished with 7 layers of high gloss piano black paint. The line array mimics the timeless McIntosh front panel appearance with a glossy black center section and 2 silver aluminum end caps. Grilles magnetically attach for easy removal. ■ McIntosh patented, gold-plated Solid CinchTM speaker binding posts easily but securely attach your speaker cables to prevent them from coming loose while also ensuring a quality signal is delivered to the speaker.